A language mutual to many tourists and locals alike, English is often regarded as the “International Language”. As such, it’s an increasingly popular language to study, particularly for foreign students who wish to study in, move to, and work in a new country like Australia. This week, we run through reasons why you should study English, and how learning a second language can boost brain and memory function as well as concentration and multi-tasking! While Chinese and Spanish beat English is terms of the most spoken languages, English is often considered the most widely spoken and widely spread language in the world. It’s no wonder an estimated 1.5 billion people all over the world are learning English! Good English skills are critical when following a career in science, as, according to Why English Matters, up to 98% of scientific research papers are written in English. On the 1st January 2008, the International Civil Aviation Organisation declared that all Air Traffic Controllers and Flight Crew Members associated with international flights must be proficient in the English language. This ruling stemmed from concerns rising from air traffic controllers and pilots to safely and effectively communicate. Did you know that 1 in 4 people speak English at a “useful level”? That’s the equivalent of about 1.75 billion people! As mentioned in the previous point, English is not only an official language of 56 countries, but it is also increasingly the secondary or a dominant language in other countries. 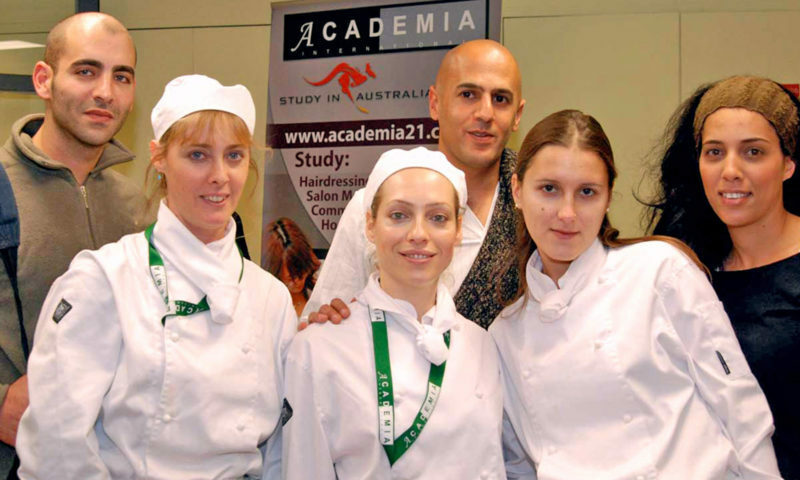 Many of our international students who enrol in our English courses do so to power them with the knowledge of the English language which then allows them to further their studies in their chosen fields, such as Patisserie or Commercial Cookery, Childcare and many more. Our English for Academic Purposes course, for example, supports international students who have the goal of entering and studying at an Australian university or college. During this particular English course, you’ll focus specifically on reading and writing skills. There are plenty of benefits of learning a second language beyond furthering your studies or career prospects. A 2013 study from the University of Granada found that bilingual children performed better in “working memory” tasks than monolingual children. Working memory refers to short-term memory including perceiving, processing, and storing information. Research has shown that those who study or learn a second language display better concentration than those who knew only one language. The research also showed that it didn’t matter whether participants learnt the second language in infancy, adolescence, or as an adult, so it’s never too late to start studying English! Yet another study has found that those who know a second language are better at ignoring irrelevant distractions and focusing on their core task. This is a really interesting one! Learning the linguistics of your second language (whether it be English or any other) will also be applied to your native tongue, improving your writing, speaking, and reading skills? Think of learning a second language as a sort of refresher course for your first, where you revisit grammar, sentence structure, and conjugations. With a solid understanding of the English language, you can feel confident while travelling to and communicating in the 56 countries that call English an official language! Learning English doesn’t only help you when it comes to planning and booking accommodation, flights, and activities, but also expressing what you want in a restaurant, to a tour guide, a shop assistant, or your hotel receptionist. A grasp of the ever-popular English language allows you to independently travel and enhance your experiences! Want to learn English in Australia? Academia welcomes hundreds of students every year through our doors to study English and help propel further studies. 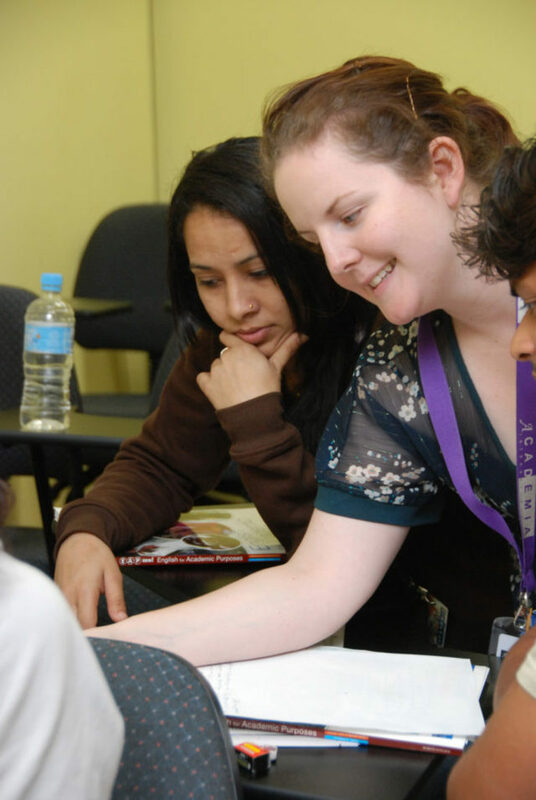 Our English courses are available at both our Melbourne and Brisbane campuses, where students from all over the world are nurtured by supportive, warm, and encouraging teachers. Although the hospitality industry includes many different careers and there are various opportunities for progression and promotion, these are often out of reach unless a person is a proficient and confident user of the English language. Being able to effectively communicate using English is important no matter where in the world you live, work or travel. Certainly, being able to successfully communicate in English is imperative when working in an English speaking country. Without doubt, the universal language of the hospitality industry is English. It does not matter whether you are a housekeeper in London, the maitre d’hotel of a restaurant in Singapore, a croupier in a Dubai casino or the concierge of a hotel in Sydney, it is almost guaranteed that you will be expected to have not only a passive understanding of the English language, but confidence in actively using it. Learning English is a potentially advantageous and lucrative career and professional move for many people. Because English is so widely spoken across the globe and because so many business and other exchanges occur using the medium of English, it follows that candidates who are proficient and confident users of the English language are so appealing to employers. While different providers of English courses offer different English language courses, there is a range of features that prospective students should seek. In some situations, students will be combining their studies of the English language with another course, such as: Diploma of Business, and it makes sense that the two courses should be complimentary. What are some of the most important features of English courses? Having made the very wise decision to learn English, the next thing that you need to determine is the actual course that you will take. With so many different courses available – and quite a number of them claiming to be effective and professionally beneficial – it is not always easy to know which course to study. It is no myth that when a person is able to communicate and speak a language well, potential exists for them to increase their earnings as well as enjoy accelerated career progression and a variety of interesting and possibly high profile roles. A person’s ability to use the English language effectively is significantly determined by the quality of the English language course that they have taken.